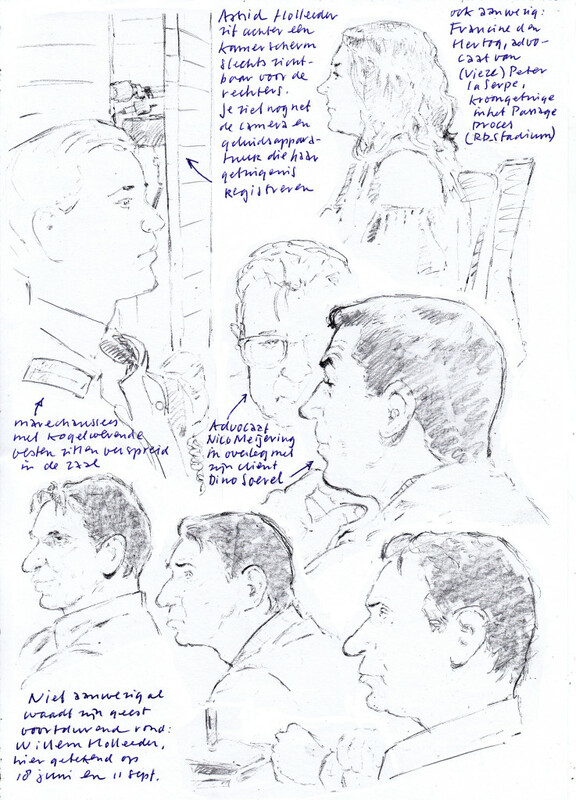 In the Netherlands photographers are not admitted in the courtroom. 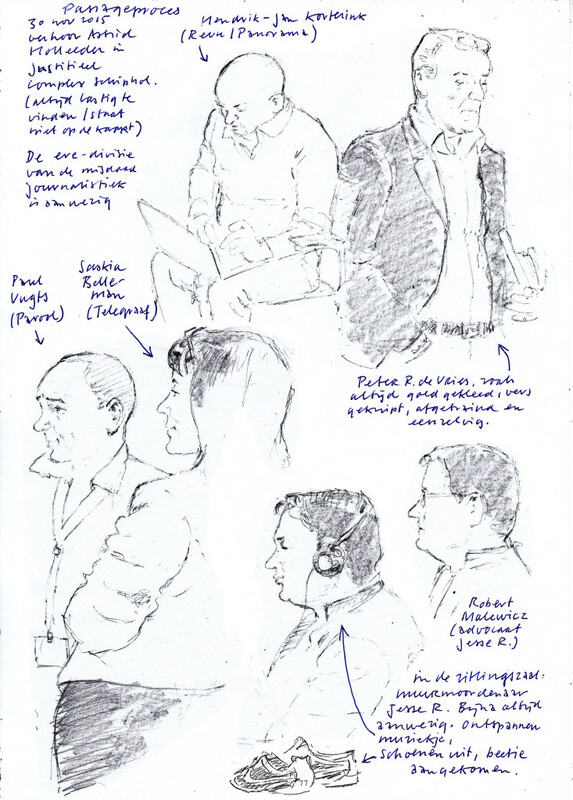 To give an impression of the trial, an artist makes drawings of the suspects in the courtroom and those are shown in the media. They have to be neutral, not judging. 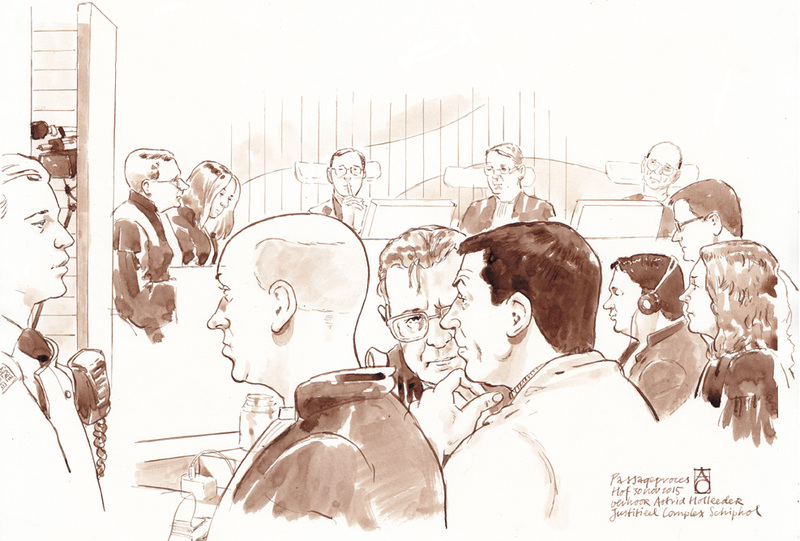 Unlike graphic journalist, the artist in the courtroom should not show his feelings or emotions in the drawings, even if he is certain that the suspect committed horrible crimes. These are the drawings he made last week, when the sisters and of Willem Holleeder testified against him. Willem Holleeder is the most notorious criminal in the Netherlands, who got well known for his involvement in the kidnapping of Freddy Heineken in the 1980’s.